Every time I am at the grocery store and I pass the tomato section, especially in the summer, and I see those bright red vibrant tomatoes on the vine, I think of my mom. I think of her picking through the bunches and bringing those bright red orbs to her nose to see if they “smelled like a garden.” Really good tomatoes should be fragrant and smell like they have just finished ripening in the sun. 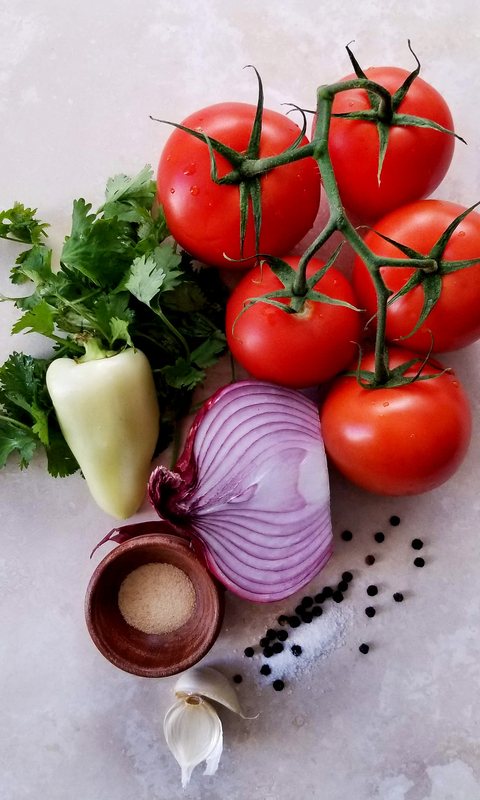 If you are lucky enough to find some that are bright red, firm, and smell just right, you should buy all of them because its time to make salsa. My mom has been making this salsa since before I can even remember. 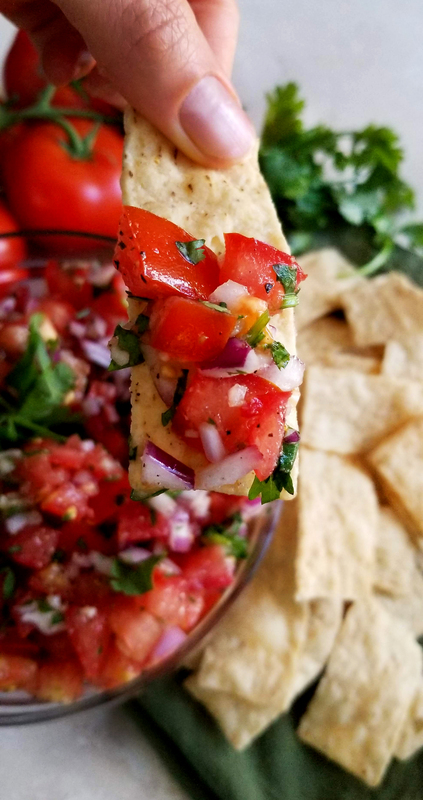 There is not a childhood summer, family gathering, taco night, or epic annual tamale party where this salsa has not been in my life. I made it when I went to college when I wanted a taste of home, and every time I make it now I call her to tell her that I did her recipe justice. There is nothing fancy or terribly unique about this recipe. It’s greatness relies on the integrity of the ingredients. 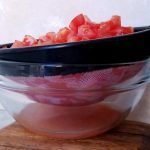 You cannot make this recipe with crappy tasting tomatoes, otherwise you will get dull, lifeless, dip. 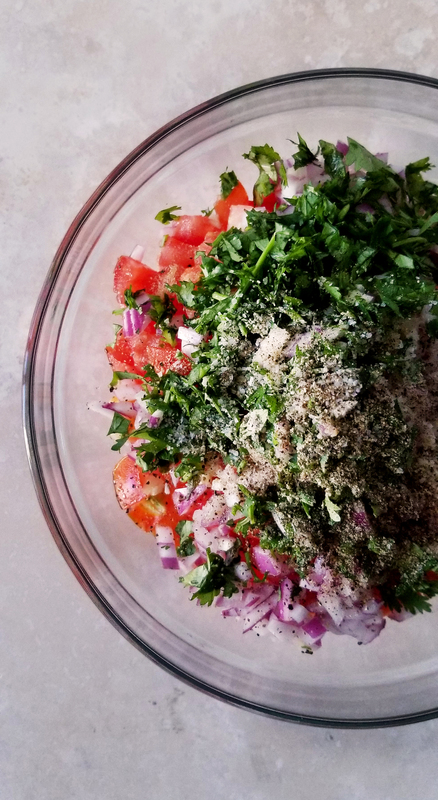 Make the effort to seek out the brightest and best smelling tomatoes, vibrant and fragrant cilantro, and pungent onions and garlic. Once you have done that, the ingredients will do the work for you. 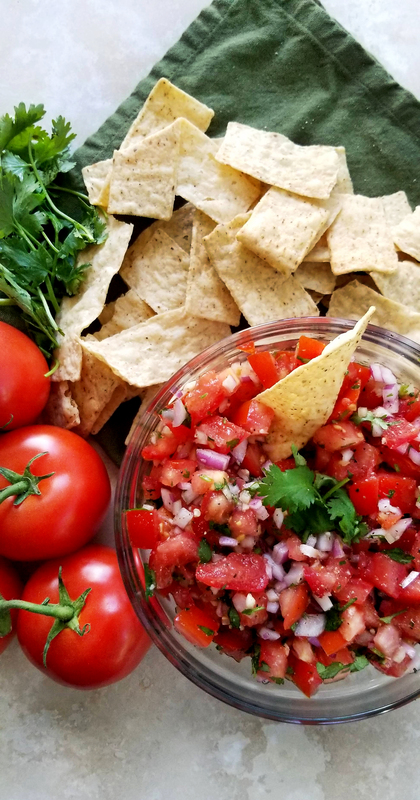 A simple and delicious tomato salsa, perfect when tomatoes are in peak season. 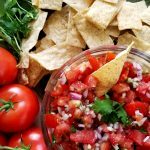 Great for tortilla chips and any Mexican dish that needs a bright topping. Dice the onion, and mince the garlic and the chile. If you want a spicier salsa do not remove the seeds or the white membrane from the yellow chile. 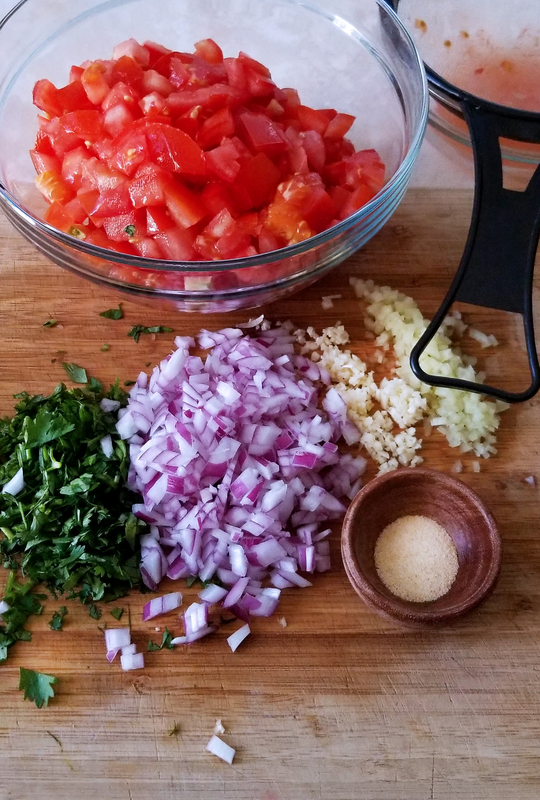 Mix the strained tomatoes, onion, yellow chile, garlic, cilantro, and granulated garlic in a mixing bowl. Taste and adjust seasoning with salt and plenty of fresh black pepper. Keep tasting and adjusting until its perfect adding more cilantro or chile if necessary.